Organic farming has to be taken up like a movement on a large scale. MP Kalvakuntla Kavitha tasting the organic food at the Women of India Organic Festival at Shilparamam. 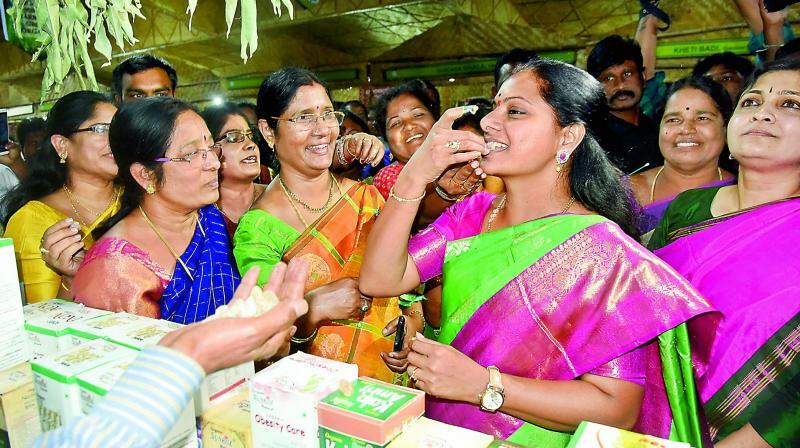 Hyderabad: Heavy usage of pesticides is a major issue across Telangana state and India and the government has to incentivise production of organic food to counter it, said MP Kalvakuntla Kavitha at the valedictory function of ‘Women of India Organic Festival’ at Shilparamam on Sunday.